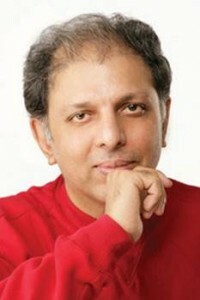 Murzban F. Shroff is a Mumbai-based writer. He has published his fiction with over fifty literary journals in the U.S. and UK. Six of the stories have garnered a Pushcart Prize nomination; one has been the recipient of the John Gilgun Fiction Award. His debut short story collection, BREATHLESS IN BOMBAY, was shortlisted for the 2009 Commonwealth Writers’ Prize and rated by the Guardian as among the ten best-set books in Mumbai. Breathless in Bombay is an intricate mosaic of fourteen short stories, each forming a vibrant picture of life in one of India’s busiest cities. Shroff uses vivid imagery and powerful, descriptive prose to create real-life characters and scenarios; one feels as if they are right in the middle of Bombay (Mumbai) with all its beautiful chaos and fervor. Each story opens our eyes to another way of life, and though these lives may differ from our own, one feels a deep connection to the human condition to realize that we all share the same desires and needs. I truly enjoyed the short story format, though each one could have easily evolved into a full-length novel. I think this format allowed Shroff to passionately and quickly develop the characters, which was exciting to the reader. When each story ended, you couldn’t help but think about the characters and the experiences they would endure in the future. Fortunately, another story would begin and we would be equally enticed…only to go through the literary wave of emotions as the story would develop and then come to an end again. With this arrangement, the stories further mimic life, where everything has its own rhythm and cycle. Shroff gives us a generous glimpse into the lives of many interesting characters living in Bombay. In the first story, we are introduced to Mataprasad, a dhobi. He is forced to confront the fact that his clothes washing services are slowly being replaced by automatic washing machines. This reality is threatening the livelihoods of all who live in the dhobi ghat, and the reader becomes sympathetic to their plight. Shroff beautifully describes the way in which the dhobis live, and successfully communicates the pride they take in their work. “Within an hour, the hill would erupt in a blaze of colors, tents of wet clothes flapping like joyous birds on bright nylon strings, flapping, fluttering, threatening to leave their place and fly into the sun” – Breathless in Bombay sparkles with these kinds of sentences, painting vivid pictures in our minds. Next, we are led into the lives of Vicki Dhanrajgiri and Nandkumar Chaurasia in the story Traffic. This was one of my favorite stories, because it was honest and raw and I think Shroff did a commendable job of portraying the thoughts and emotions of a twenty-seven year old woman. What I found interesting is that Vicki’s situation could have been experienced in any large North American city, which again draws the parallel that “we were all meant to understand that, in some strange way or the other, we were all driven by the same motivations, the same hopes, the same dreams and regrets”. This quote was actually taken from another story in the book, This House of Mine. We then read about a maalishwalla, followed by a story concerning a diverse group of tenants, and then the story of Chacha Sawari and Badshah, a victoriawalla and his horse. This too, was one of my favorites, because of the interesting circumstances and the intricacies of the characters. The remaining nine stories are equally riveting and well worth the reading experience! I think that anyone who picks up this book will thoroughly enjoy Shroff’s brilliant descriptions of Bombay and will appreciate every character within the captivating stories. I’m not even sure that the title,Breathless in Bombay, does the book justice. My one recommendation to the author is to think about adding a glossary of terms at the back of the book for the italicized words. I know this may seem technical, but it would help a reader who wasn’t familiar with Indian regional vocabulary to experience the book at a deeper level of understanding. I highly recommend this book to anyone, especially those who live in Bombay or have ever experienced it. I look forward to reading more from Murzban F. Shroff! This rich and lively debut collection demonstrates Shroff’s storytelling skill, which has garnered him two Pushcart Prize nominations. All 14 tales focus on the inhabitants of his hometown of Bombay, or, Mumbai, as it was officially renamed in 1996. From a cross section of Indian society, the characters are all somehow beset with the familiar challenges of contemporary city life—terminal poverty, diseases like AIDS, and values and tradition lost to economic development. Shroff does not employ gritty realism to portray his characters’ struggles, but he also refrains from romanticizing them. Instead, he achieves a welcome balance of apprehension and optimism. Most of his narrators are men who more often than not convey considerable compassion for the women in their lives. For instance, the carriage driver in “The Queen Guards Her Own” dreams of saving a young prostitute and her daughter. Like other short story collections set in Bombay (e.g., Vikram Chandra’s Love and Longing in Bombay and Rohinton Mistry’s Swimming Lessons and Other Stories from Firozsha Baag), Shroff’s makes for enjoyable reading. Recommended for large fiction collections. Bombay-born Shroff strives to elucidate the city’s “lure” that inspires writers to stay, toil, and dream there. His relationship with Bombay is one of both love for its vibrant array of possibilities and hate for its rigid class divisions. He writes like a camera taking snapshots in quick succession, juxtaposing myriad pictures in a single paragraph. One story chronicles the demise of the dhobis, traditional washers of clothes and linens who are being displaced by high-rises with washing machines. Another exposes the sad realization of a young professional woman that the only acknowledgments of her birthday are “budget bouquets from people compelled to be courteous.” One poignant story depicts a humble carriage driver who befriends a young prostitute and her daughter, whom he is determined to save from a similar fate. The title story deftly portrays “the Gatsby of Bombay” at his elaborate wedding party as he gradually realizes how shallow his extravagant life has become. A provocative portrayal of the collision between tradition and modernity from a new voice on the Indian literary scene. BREATHLESS IN BOMBAY by Murzban Shroff is a stunning collection of stories, linked by a love of the city and a truly unusual and diverse portrait of its inhabitants. Each story tantalizes, captivates, lingers because of the unresolvable conflicts that haunt the characters’ lives, conflicts as much part of culture as character. The richness and depth of the collection left me feeling as though I’d journeyed through a novel, rather than a story collection, which in my experience are usually uneven. Part of this was the unity created by the city – oh, the city! — and the motif of clash between the rich and the poor, but most was the empathy of Shroff’s narrative voice, the love he instilled for his characters in whatever emotional or moral dilemma they floundered. The dhobi Mataprasad struggles to keep the collective life of his laundry trade afloat; the Bollywood producer’s assistant, Vicki, contends with her love for an artist who disdains all she does; the masseur Bheem Singh finds his talent greater than that of his wealthy clients on Chowpatty Beach; the victoria driver, Chacha, risks everything to rescue the daughter of his friend from the neighborhood brothel. What made BREATHLESS IN BOMBAY novelistic, not to mention a page-turner, was how much I cared for the characters and their fates, along with the beauty of the language. Shroff made me yearn to stroll through Bombay, like I might stroll through Paris, as no other Indian writer has been able to do. I didn’t do it on purpose. These things just seem to happen. Every now and then these huge boxes, filled with Advanced Reader Copies (ARCs), arrive at our door. It’s true, I’m attracted to bright colors. And alliteration. And really good fonts (I’ll let you in on a secret — I am one of those booksellers who has to battle not to judge, at least initially, a book by its cover). Is that why I went home with two books that turned out to be excellent companion pieces? Probably not. You wouldn’t have known from the titles, anyway. I mean, sure, Breathless in Bombay clues you in to the contents. And while Unaccustomed Earth doesn’t scream “Indian immigration”, Jhumpa Lahiri should be a dead giveaway. But that escaped my attention until yesterday. 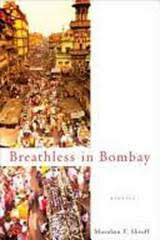 I’ve been reading Breathless in Bombay, by Murzban Shroff, for two weeks now. It’s not that it’s a long book, but rather because it’s chock full of short stories that require a little reflection after finishing. So I haven’t quite completed the book yet, but each story has successively lodged in my brain. They all take place (you guessed it) in Bombay, span social and caste levels, and are wonderful. The writing is simple, rich in description, and incredibly evocative. And then, just this past week, I picked up Jhumpa Lahiri’s Unaccustomed Earth, also a collection of short stories, about Indian immigrants in America. This one, I’ve already finished. It sucked me in and wouldn’t let me go. The first half of the book is, characteristic of her writing, poignant and thoughtful, and really good. The latter half, a set of three stories that are linked by their main characters, is fantastic. I love story sets like these — Ursula Le Guin once referred to this form of writing as a story suite, which sums it up nicely — but even beyond my love for the art form, these three pieces are so human, so personal, so … I’m out of good words, but hopefully you believe me by now. When I put Unaccustomed Earth down, it struck me that I had just gone on a journey. I had started in Bombay, immersed in Shroff’s portrayal of the sights and sounds and smells of India, and then traveled to America, far from that heat and bustle and life, to Lahiri’s cold coasts, displacement, generation gaps, and struggle to belong. It made me wish I’d read them both with a friend (or book group! ), to explore the transitions, the similarities and differences, not just of the stories but of the writers and their perspective. I guess I’ll have to follow one of my fellow booksellers around until they agree to read them. You’ve been warned! Bombay-born Shroff opens a window on that city’s commercial bustle, “as lived in the heads of its people” (as his introduction puts it) one profession at a time. The opening “Dhobi Ghat,” follows Mataprasad Mahadev, 53, delivering laundry, and establishes a pattern followed by later stories: a man (it’s most often a man) is shown at work; his backstory then explains how he got there and leads to an ambiguous, open-ended conclusion. Whether wealthy tycoon, taxi driver or writer, modernization and globalization are eroding livelihoods, making previously unimpeachable choices untenable, and causing massive nostalgia. There are flashes of excellence here, as in the portrait of an elderly, neurotic army widow in “The Great Divide,” but heavy symbolism weighs down some of the otherwise carefully nuanced portraits. Shroff proves adept at unraveling Bombay’s rituals, rumors and rhythms from the inside out. A collection that chronicles the deep chasms in contemporary Bombay. The author credits Bombay’s (officially dormant) social caste system as a source of inspiration for the book. In the title story, the low-class appearance and background of her manservant convince the aging wife of a prominent soldier that he plans to rob and kill her. In “Meter Down,” the taxi driver waiting in front of a hotel eschews students and other natives in favor of foreign businessmen; they’re the kind of customers he can swindle for the best fares and tips. Bombay’s sordid underbelly is also revealed. “The Maalishwalla,” for example, follows the thoughts of a masseur on Chowpatty Beach who is so desperate to make money (so he can return to his bride in his home village) that he feels unable to do anything about the man he sees aggressively pestering an unwilling prostitute. “The Queen Guards Her Own” explores the loving relationship between a retired horseman and a prostitute’s child, whom he vows to keep from the same fate as her mother. The contrast between tradition and modernity within the city is another subject. In “Dhobi Ghat,” a long-standing community of launderers (dhobis) meets to discuss their financial woes after many of their customers have switched to electric washing machines. “Traffic” finds a privileged Bollywood producer contemplating a bygone love affair, painfully aware that her society considers it a shame that she is still alone on her 27th birthday. Shroff’s narration is consistently clear-voiced; his focused setting and carefully chosen themes give the collection a strong structure. Stories as engaging and complicated as the city to which they pay homage. This collection of 14 wonderful short stories by Murzban F. Shroff is a summer travel companion that will keep you engrossed no matter how long your flight is delayed. Shroff shows us his native city of Bombay through the lives of characters at all levels of society. Most have come to the big, dirty city to find jobs so they can send money back to their families in villages. But the city is cruel. Technology is eliminating jobs, and land is coveted for new buildings for the rich. Launderers in the story “Dhobi Ghat,” for instance, see their jobs threatened by their customers’ love of in-home washing machines, and they are being urged to sell their land to developers and go to a resettlement camp. In the story “Traffic,” a middle-class woman falls in love with a worthless man, and in the charming “The Queen Guards Her Own,” a hard-working man cares for a child. Readers who want a snapshot of contemporary Bombay will enjoy these stories. Avid readers of fiction have their favorite Indian authors. The sub-continent has provided English readers with some of the best fiction of the last 30 years: Rushdie, Mistry, Desai, Seth to name a few. These authors have opened our eyes to a fascinating culture and landscape, seemingly another world. We will soon be adding Murzban F. Shroff to the list of exemplary fiction writers and his first collection of short stories, Breathless in Bombay, will prove that his inclusion is deserved. Murzban provides characters, backgrounds and story lines in14 deftly expressed stories. One story, titled The Queen Guards Her Own, contains as many vivid characters as if it was written by Dickens: Chacha the carriage driver, Simran the young prostitute, Amir Jwaab the beggar. This House of Mine, tells the story of a houseful of tenants who unite to save their homes from demolition, each tenant a completely portrayed individual. In Maalishwaala, the Hindi term for masseuse, we learn the complex story, past and present, of a young man from a rural village trying to earn money to support his wife back home. Each story delivers, none disappoints. The most fascinating character of course is Bombay itself, the city that is the home to these characters and millions of others. Dense neighborhoods that were rural 30 years ago are now being leveled for high-rises. Many thousands live and work in slums with corporate headquarters as the backdrop of their labors. The new Indian and the India of centuries of tradition rub shoulders continuously every day. The tension and the contrast between the ancient and the modern, rural and urban, Muslim and Hindu, affluence and poverty are all here. Murzban F. Shroff is a skillful and accomplished writer who has won recognition for his short stories. I believe that this collection heralds the wider arrival of his unique voice and ample talent. He is deserving of taking his place among his worthy contemporaries. Various writers posted the following reviews on The Library Thing. At the end of the introduction to Breathless in Bombay, the author says ‘the story of Bombay is the story of struggle and sacrifice.” And while the title might imply a sense of wonderment or pace, the book is really a treatise on struggle in that city. In fact, a better title might be Bombay Sorrows. Across fourteen stories, the author touches on how families and individuals try to make a life and not lose ground in the face of hardship. As if the city itself was foisting some inertia toward destruction, the characters try to stay above water and retain their dignity, standard of living, and happiness. The book touches on tragedies such as betrayal, corruption, poverty, addiction, and simple bad luck. The book’s writing style is solid without gratuitous prose. Imagine an admixture the following books: a meandering sociological case history such as Poor People by William Vollmann, a travel story by Paul Theroux, and some tragic short stories by Guy de Maupassant. Breathless in Bombay does manage to convey the sense of size, breadth, and natural beauty of Bombay in all aspects: people, wealth, commerce, and energy. It conveys a sense of unity of community among the people all the while – while they are being fragmented by the city. Contrasting village life in India with Bombay in a story called Maalishwalla: “But Bombay: it was different. Demanding? Yes! Life sapping? Yes! You had to have alliances and a ready salute for those in power.” With protagonists as varied as the elderly wife of a military officer; an oceanside masseuse; a taxi driver; a horse groom; and a rich entrepreneur, the author paints a mural of the struggle across Bombay to keep up with the heavy weight of the city’s progress. Without a sense of redemption or a Hollywood ending, this perhaps depressing book is best for someone looking to view contemporary Bombay through the eyes of the least visible citizens. This is a beautiful, lyrical, ugly, harsh, sensuous, raw, heartrending book. I thoroughly enjoyed it. As someone who knows little about Indian society and culture in general, and even less about Bombay in particular, I feel like I have been given a glimpse of a wholly unfamiliar world. Yes, the emotions and human interactions are a part of the human condition, but their context (so far from my own) makes them strange, opens them up to fresh investigation. The end of every story left me deep in thought, having to clear my head before reading the next one. Shroff’s writing appears tantalizingly transparent, but it becomes increasingly clear that he is indeed playing with language(s). There are moments when the characters switch from language to language and comments on and in English, Hindi, Gujarati, etc that remind us of the polyglot world of his birthplace, of the linguistic possibilities and the opportunities for linguistic inventiveness inherent in that sort of milieu. His judicious use of non-English words, words that are not defined (and whose meaning is not always clear from their contexts, at least not immediately) adds to the whirlwind sense of being a newcomer in the maelstrom that his Bombay appears to be, enhancing (rather than detracting from) the success of this collection. Author Murzban F. Shroff attempts to capture the dichotomy of Bombay, both the beauty and the ugliness, and he succeeds. Fourteen short stories offer a glimpse into the cultures and lives of everyday people in Bombay, from the rich to the working class to the poor. Often my biggest complaint about short stories is reaching the end and wondering, “That’s it?” That was not the case with Murzban F. Shroff’s collection of stories. Each story stood on solid ground, the characters well developed in their complexities and lifestyles and the stories quickly and effectively established. There was not one story that I did not like, each a stand out in its own way. The fourteen stories that made up the collection were varied, some dark and sad while others more hopeful. Each of them was about the struggles of survival in a city where people flocked to for a better life and fought to survive in at the darkest of times. Among my favorites was the story of Chacha Sawari and his horse Badshah in The Queen Guards Her Own. Chacha was a man who took pride in his work and loved his horse. He did not have much in the later years of his life, and yet he made the best of it, always looking out for Badshah. Even amidst the poverty and prejudice of the wealthy, Chacha remained hopeful. Then there was the story, The Great Divide, about an elderly woman and her husband who had taken in a servant. A recent rash of murders of elderly by their servants set Mrs. Mullafiroze on edge and she feared for her own life and that of her husband. A Different Behl and This House of Mine demonstrated the depth of good friendships while Jamal Haddi’s Revenge showed a man with nothing to lose in his darkest hour. There was a story of love lost in Traffic, and love found in Breathless in Bombay, the final story of the book. Breathless in Bombay is an entertaining and occasionally challenging look at the daily lives of various segments of the population of a thriving, rapidly changing metropolis. A theme of collision between traditional and contemporary values runs through most of the stories. Shroff does an admirable job of depicting the personal views of residents as they watch their ways of life vanish in the name of progress. This struggle to adapt to a world fundamentally changed lends much of the drama to the individual stories. Whether it is the man hand washing clothes competing against the shiny washing machine or the residents of a decrepit flat fighting a bureaucracy in league with powerful developers, the stories put a human face on the remarkable transformation that is modern India.